DescriptionThis wind power project delivers zero emissions renewable electricity to the Brazilian Interconnected Grid. 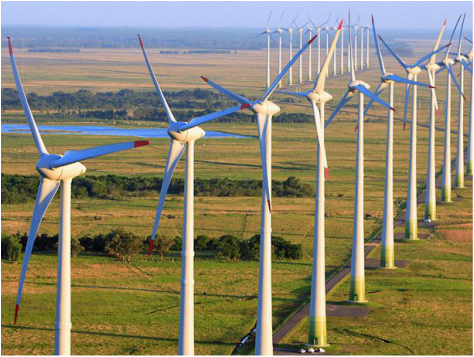 It is composed of three wind farms in Trairí City, Ceará State, Brazil. The total project has a capacity of 64 MW across 32 turbines, and generates approximately 311,000 MWh of clean, renewable electricity each year.